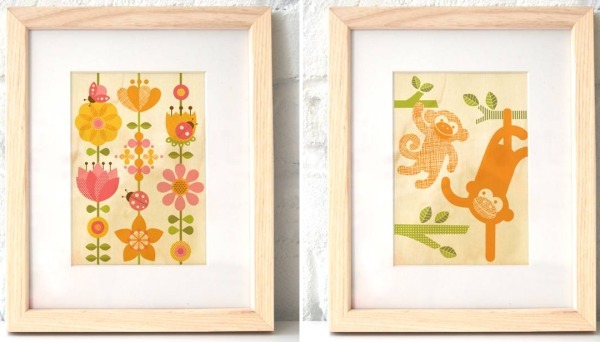 Two new beautiful wood print designs by Petit Collage have just arrived locally! Printed on sustainably harvested maple veneer, the two new designs feature ladybugs on vines and a monkey parent with baby – both adorable additions to your beautiful nurseries. Petit Collage artwork has been featured regularly here at Babyology and we love to inform you each time new work is released. These prints come to you at a teeny-tiny price of just $25 each plus shipping, from local exquisite art supplier Kindergallery.